Pink Cascade is a medium-sized tree with an irregular, open crown to a height of 6-10 m. The branches grow vertically at first and then bend downwards as the tree matures. Young twigs are brown in colour and have remarkably plentiful thorns that are approx. 0.5 cm. The young, emerging leaves are also brown to bronze-coloured. 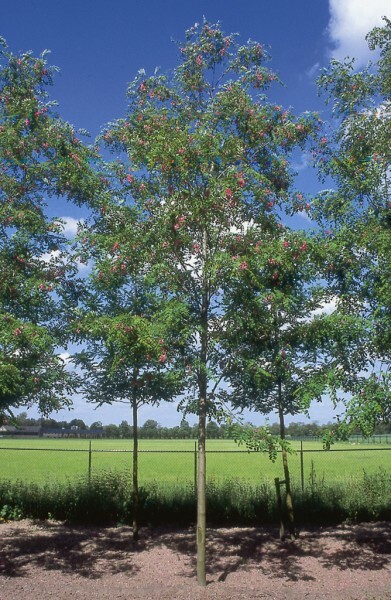 Robinia margaretta casque rouge has lovely, dark pink, aromatic flowers in clusters of about 15 cm long. Undemanding on soil, prefers well-drained.